Heat oil in pan over high heat. Season the steak with salt & pepper. Add steak and cook to desired level of doneness. Once rested, cut the beef into ½ cm strips. Combine the coleslaw mix, coriander and lime juice in a bowl. Warm the tortillas or soft shell tacos as per pack instructions. Warm the chorizo for 30 seconds in a microwave. 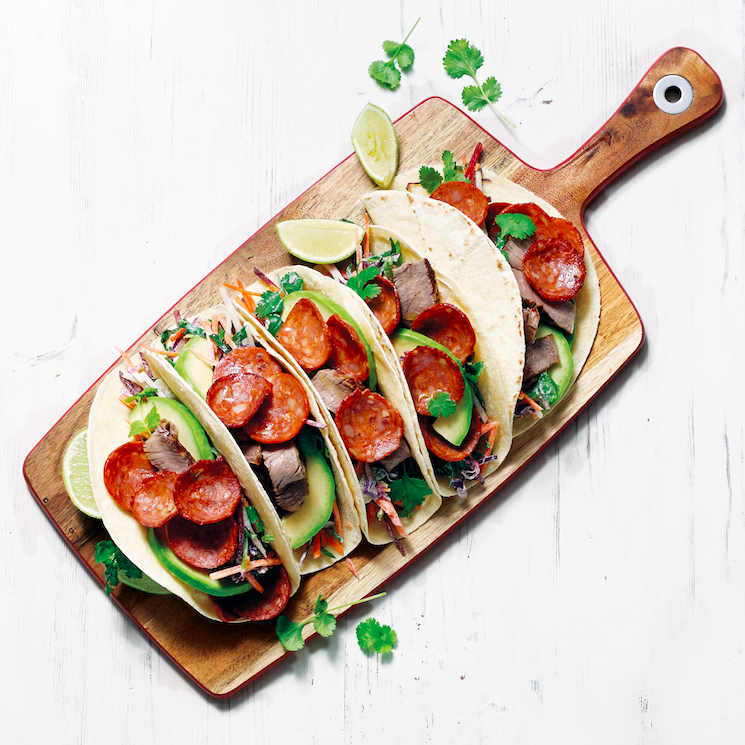 Build the taco with steak strips, chorizo slices, avocado, coleslaw mix and top with sour cream. Optional: For an extra kick, mix chilli sauce into sour cream.